A Wigan bobby has resigned in shame after being caught more than three times the drink-drive limit. Christian Dickinson spent more than a decade as an officer for Greater Manchester Police, but was said to be “deeply embarrassed” after drunkenly crashing his car into a lamppost. Wigan magistrates heard that the 38-year-old had been binge drinking after being the subject of a police internal probe. Dickinson got into a Fiat 500 with the intention of buying cigarettes from a nearby shop, but didn’t even make it out of his street - Havenwood Road, Whitley - where he collided with the post after stalling. He has since voluntarily resigned from his duties. 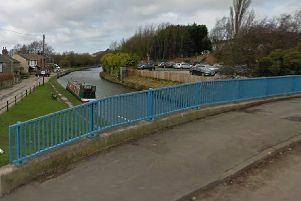 The incident happened in the early hours of Wednesday February 20, and officers attended the scene after two witnesses phoned to alert them to the collision. Prosecuting, Paul Summer said: “There was minor damage caused to the bumper of the car, as well as the lamppost. The legal limit in a sample of breath is 35 microgrammes. Dickinson was not taken to Wigan station - where he was based at the time - so as to avoid the humiliation of being “on the other side of the table”. Due to Dickinson’s high reading, the matter was stood down by the bench for a probation report, which gave him a chance to reflect on proceedings with his solicitor and friends in the public gallery. A probation spokesperson said: “He tells me he is ashamed of his behaviour, and that he has been using alcohol for quite a while - bingeing when he gets back from the job which has resulted in a vicious circle. Defending, Richard Black said: “My client has had a really difficult time in the lead-up to these events, and the shame has only been made worse by him having to see fellow policemen today, who have been in court for other matters. “He has lost tens of thousands of pounds as a result of his actions due to his pension being frozen by his former employer, so you can understand when you hear that he was taken to an alternative police station. Dickinson was given a 12-month community order with one requirement of 200 hours unpaid work, and was disqualified from driving fro 29 months. He was also ordered to pay costs of £85 and a victim surcharge of £85.